The reverberations from a scathing audit of UC earlier this year continued to be felt this weekend as Governor Jerry Brown signed a bill requiring UC to be more transparent in how it reports costs and how it deals with the state auditor. The state auditor released another regular report detailing fraud, abuse, and misuse of resources by state employees. This one covers six whistleblower complaints and their subsequent investigations, and included a report about one UC Davis professor who improperly spent almost $1000 for limousine trips. On Friday, the governor also signed legislation providing a year of free education at community colleges for full-time students. Just before Sunday’s midnight deadline, Governor Brown also signed an UPTE-backed bill (AB 848, sponsored by Sacramento Assembly member Kevin McCarty) to stop the offshoring of University of California and California State University jobs. Here's a union press release. The California Federation of Labor is working closely with labor councils in areas affected by the state’s wildfires to provide support for those suffering. 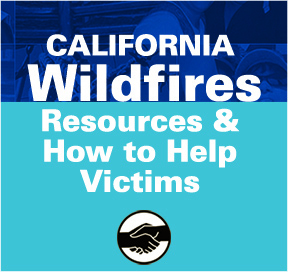 To donate or volunteer, check out the CalFed’s Wildfire Disaster Relief site.